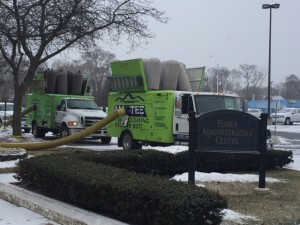 Did you know that Amistee Air Duct Cleaning is not only the leader in residential air duct cleaning in Michigan but also commercial air duct cleaning? 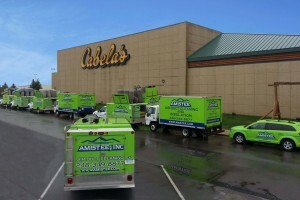 Amistee has been called upon thousands of times to clean the ventilation systems on commercial buildings in the midwest. Most recent, Amistee cleaned the facilities at The University of Detroit Mercy. Now, employees and students are breathing cleaner air from fresher, cleaner ducts. Besides your home, you spend a majority of your time at your workplace. For this reason, it is important that you are not breathing in contaminants that could be harmful for you or cause your allergies to become aggravated. 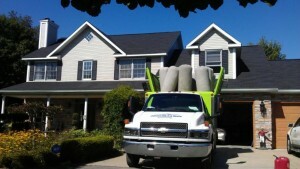 Call Amistee Air Duct Cleaning and Insulation today located in Metro Detroit for all of your commercial needs. Call 248-349-8877 for all of your indoor air quality needs. The team at Amistee Air Duct Cleaning understands that a picture is worth a thousand words and that is why we capture images of the ductwork before and after we clean the ventilation system in a home or business. The ductwork can be a difficult thing to maintain because it is hidden within the walls of the property and is not visible to the owner. The interior can be easy to overlook and difficult to evaluate. As the indoor air of the residence or commercial building circulates throughout the HVAC system, contaminants will accumulate on the metal corridors of the ductwork. This debris can consist of pet dander, dust, dirt, allergens, mold spores, construction dust and dust mites. We provide a photo before the duct cleaning to our clients so they can understand what has been polluting the indoor air quality of their home or business. Amistee’s ultimate goal is to improve your indoor air quality and this is taken into careful consideration during every step of our cleaning process. Our 12-step process is a complete and thorough cleaning of the entire HVAC system. 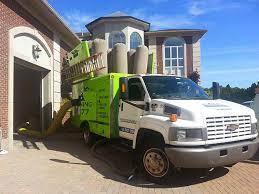 The trained technicians use negative pressure to remove all the contaminants from your ductwork. They will also go to each of the vents and registers and use compressed air to agitate any buildup that has collected on these components. The blower compartment and air compartments of the furnace and the AC coil of the air conditioning unit are also included in order to make sure the vent cleaning is complete and effective. When the technicians are satisfied that a thorough and comprehensive air duct cleaning has been completed, they will capture an image of the ductwork after the cleaning. This offers the home or business owner a direct comparison images before and after the cleaning and also offers an opportunity to evaluate the thoroughness of the team’s work. Amistee provides a professional service and the before and after photos are just one way of letting the home or business owner know they hired an expert they can trust. Call Amistee at 248-349-8877 and find out how easy it is to schedule an air duct cleaning for your home or business. 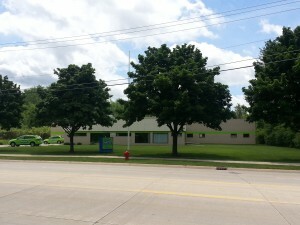 Recently, Amistee Air Duct Cleaning and Insulation located in Novi Michigan acquired Clean Air Specialties (Also known as 877DuctsRUs) located in Clinton Township Michigan. 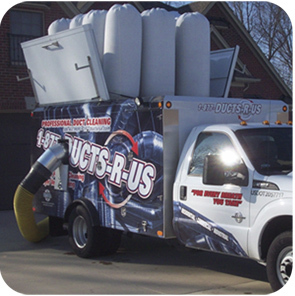 Ducts R Us has been servicing the Detroit Metro area and specifically the east side of Detroit for close to 10 years. 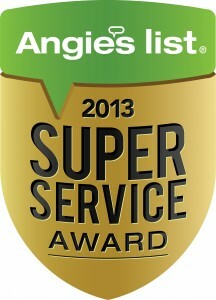 Amistee has been growing at a fast pace because of its high level of customer service in the air duct cleaning industry. Michigan is proud to have Amistee as one of the nations elite and Amistee would rather be no where else. Amistee is now proud to provide exceptional service to the Ducts R Us client base and continue it’s future duct cleaning relationships in Southeast Michigan. With Amistee Air Duct Cleaning taking over Ducts R Us, Amistee is now one of the largest air duct cleaning companies in Metro Detroit and Michigan. To understand why Amistee is the clear air choice for your air duct cleaning needs in Michigan, call Amistee at 877-349-8877 or 877-Ducts-R-Us. 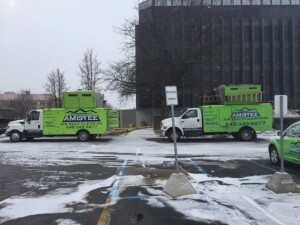 Amistee for years has been growning at a fast pace with its high level of customer service and now is even larger with the acquisition of 877DuctsRUs, a duct cleaning firm located in Clinton Township MI.